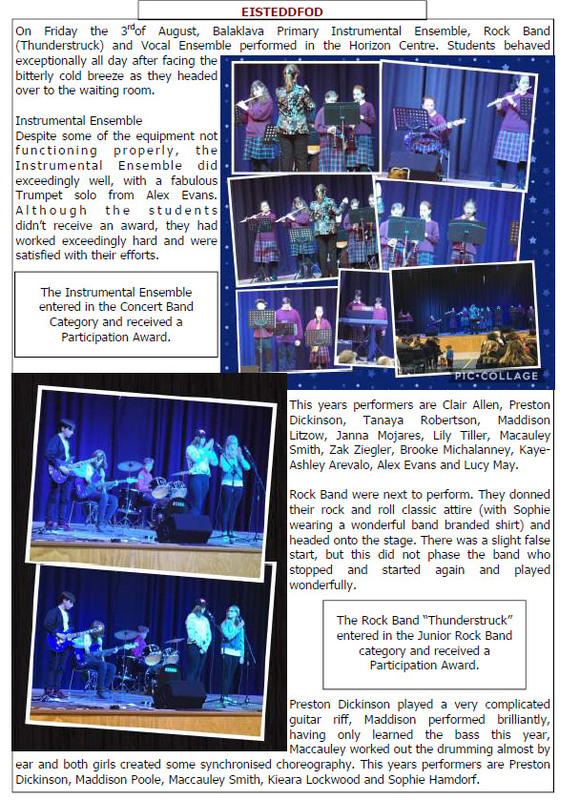 Students who are learning music have the opportunity through Vocal Ensemble, Band and Instrumental Ensemble to represent the school at the annual Balaklava Eisteddfod. 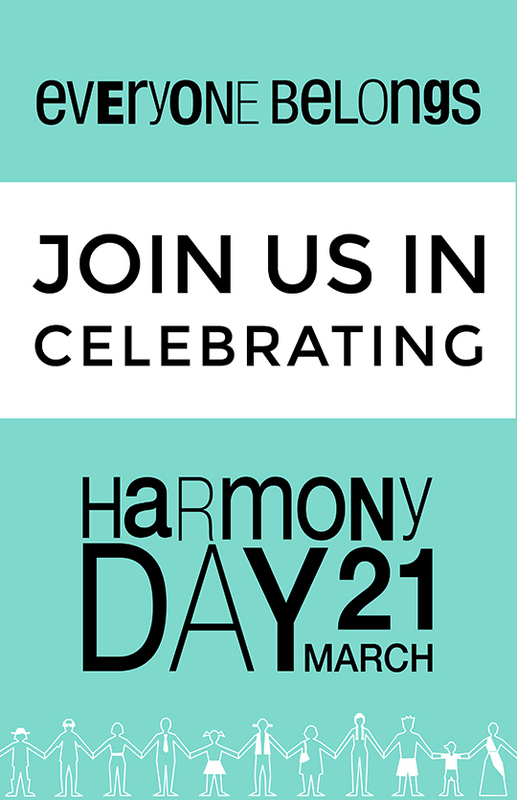 Harmony Day is a day which promotes cultural respect for everyone, from the traditional owners of the land to those who have come here from countries around the world. It is a day when we celebrate our diversity as well as connect with each other and share things we all have in common. 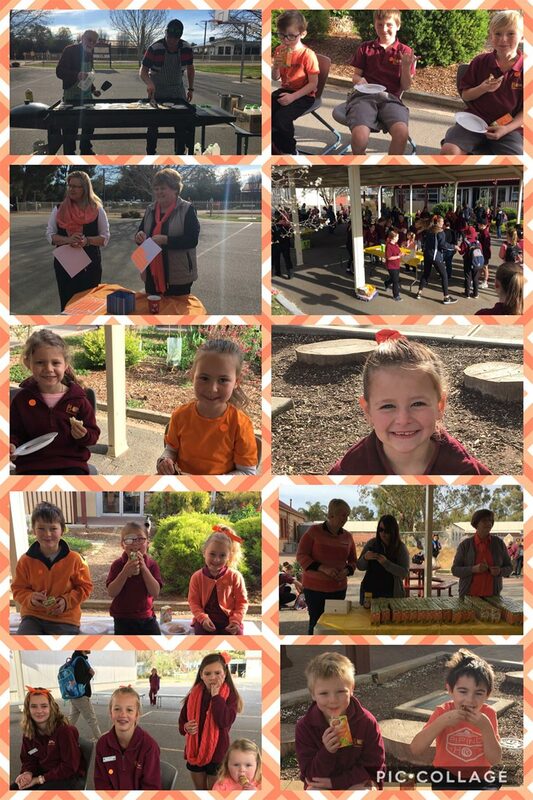 Each year, on or around Harmony Day, we begin the day with a school community breakfast followed by special activities throughout the day. 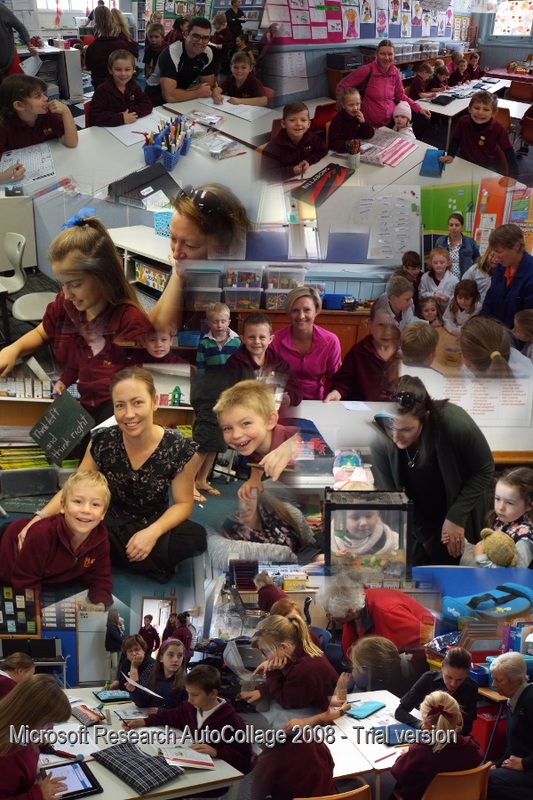 At the end of the school day we join together for a Harmony Day Assembly and welcome families to attend. 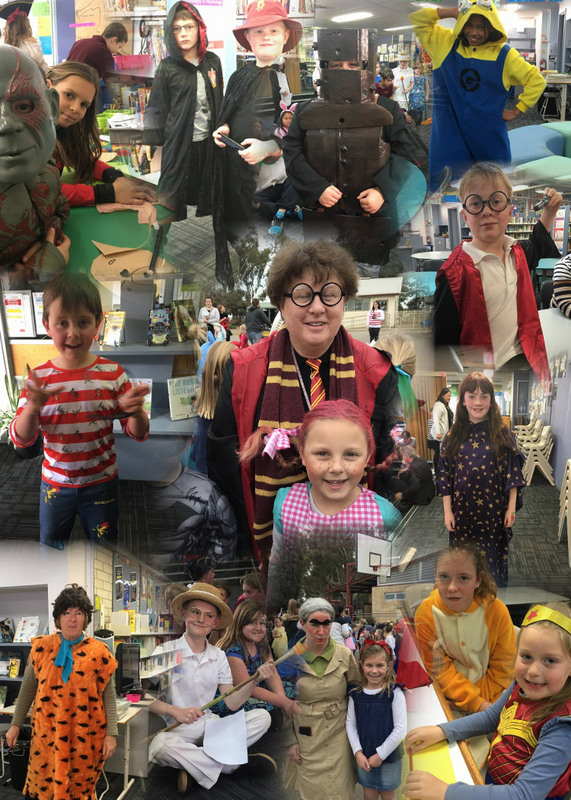 Meet and Greet Night is an informal event held at the beginning of each year to enable the school community to come together, get further acquainted and learn more about our learning programs. 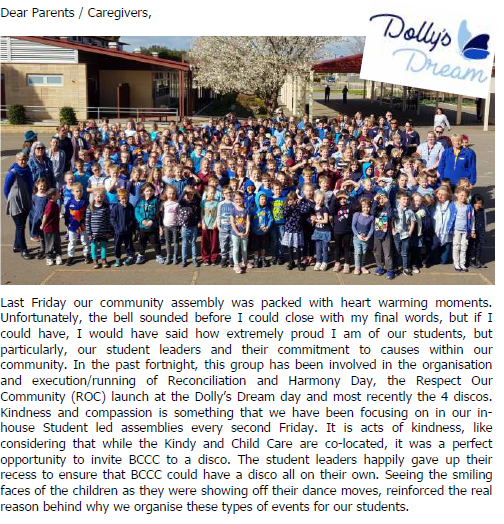 Students enjoy taking family members around the school to meet staff and members of the Governing Council and Parent Coordinating Committee (PCC). 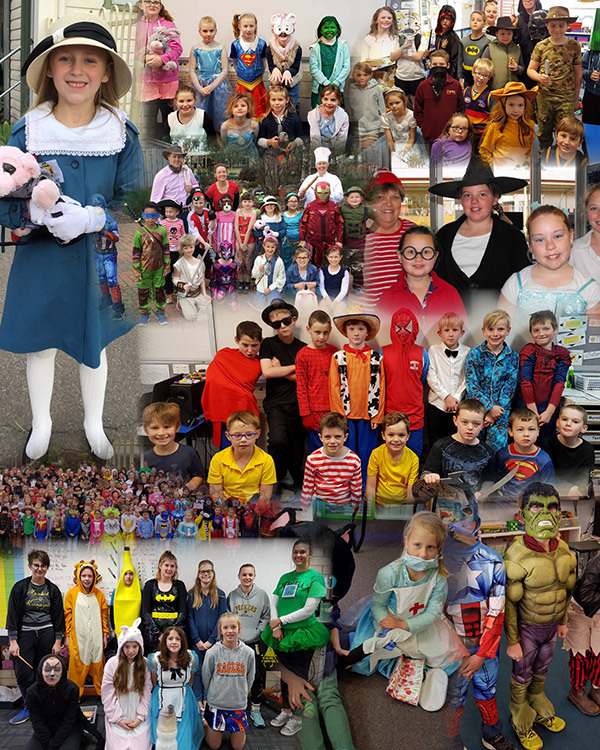 The evening begins with visits to classrooms and other areas of the school followed by a BBQ. 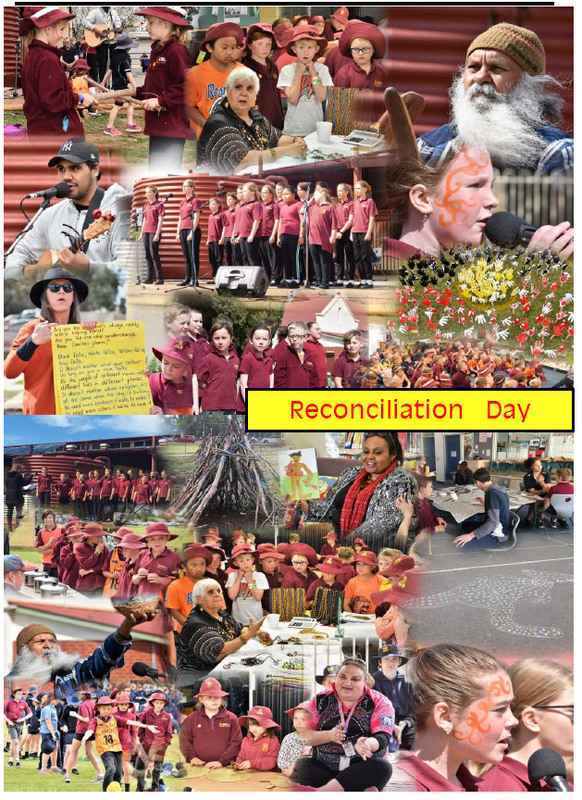 Students from Balaklava High School, Balaklava Community Children’s Centre and Balaklava Primary School combine for an annual Reconciliation Day event. Held prior to mid term 3 every year. 4 teams, Cameron, Dalkey, Brightwood and Preston compete against each other in a variety of fund and traditional events. 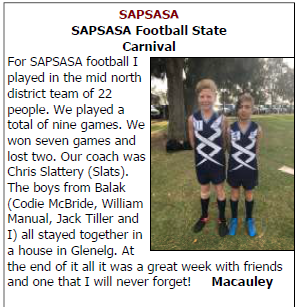 From this day, we select students that are to represent the school at the regional SAPSASA Athletics Day. 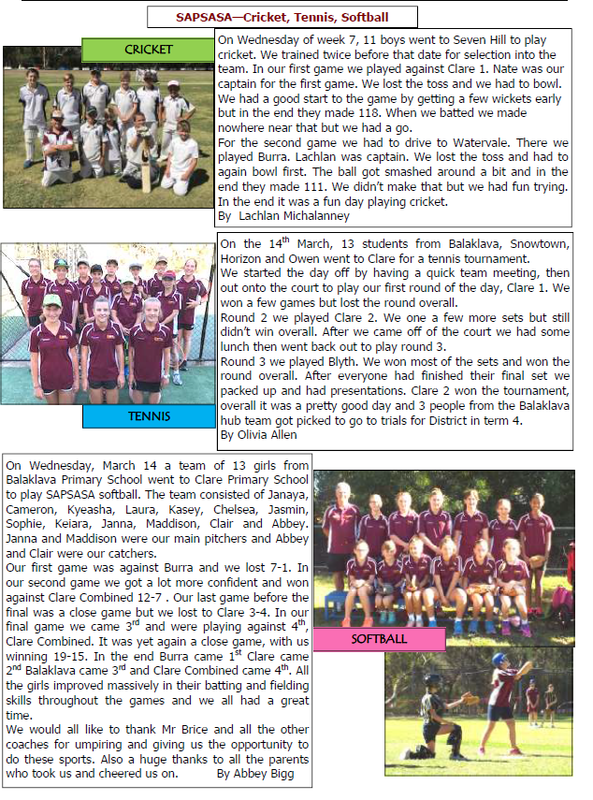 Student in Year 5-7 have a number of opportunities to participate in SAPSASA events. 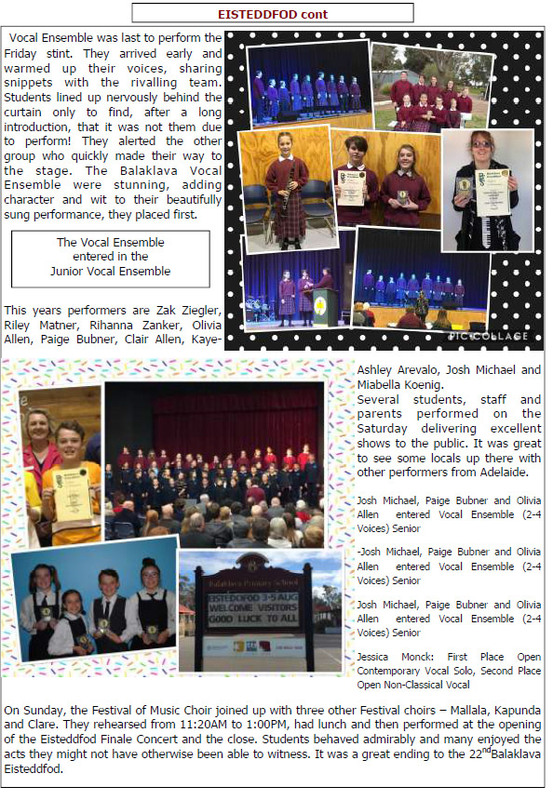 Balaklava forms part of the Mid North hub. 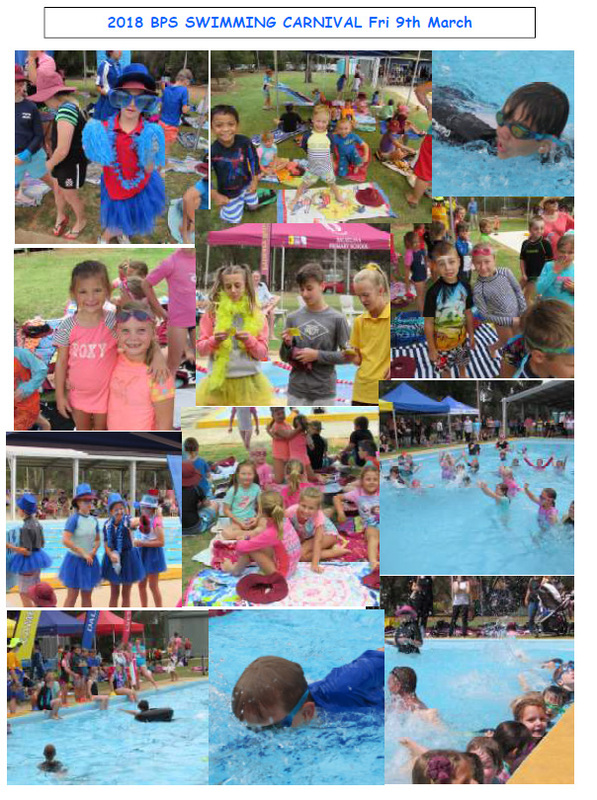 Students in Year 3-5 are involved in Swimming Lessons in Term 1 each year at the local swimming pool, adjacent to the school. 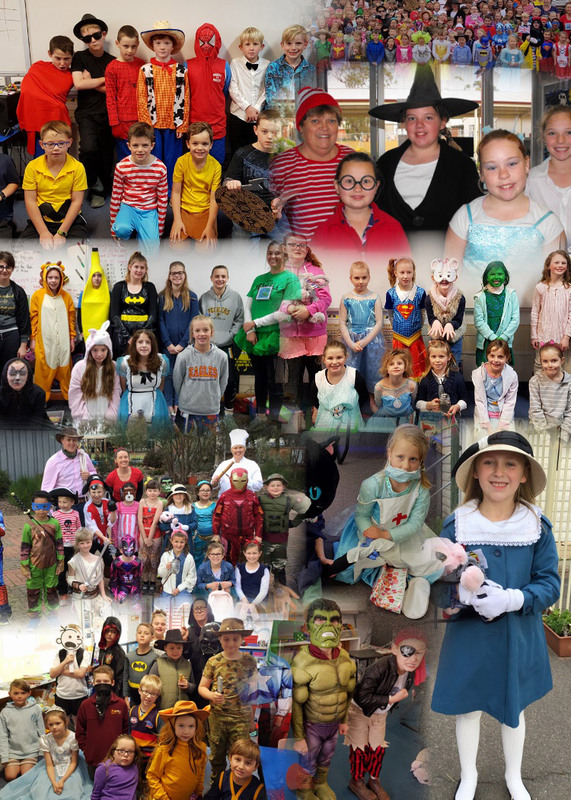 The Year 6/7 students go to Victor Harbor for a Swimming and Aquatics camp. 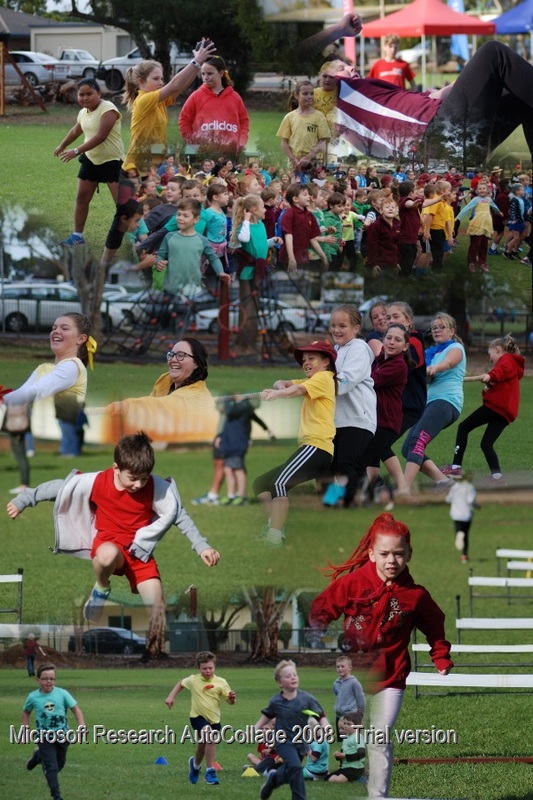 Held in Term 1 in the adjacent town pool, the school house teams enjoy the opportunity to compete against each other. 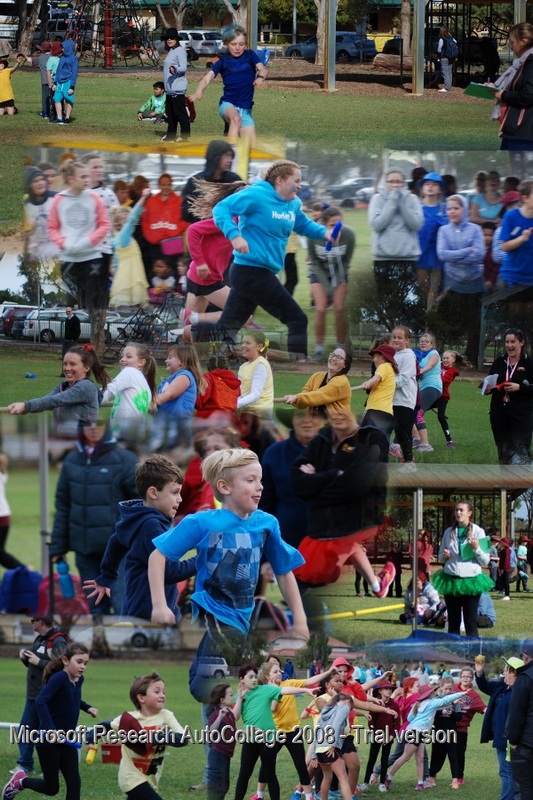 The day culminates with a fun Staff v Students v Parents relay. Students are selected from this event to attend SAPSASA swimming.